Whether for preschoolers or college scholars, our programs use the motivating power of live animals and the varied marine habitats of Long Island Sound to make science a positive and interactive adventure for students as they're introduced to - and explore - scientific concepts, processes and the importance of science in our everyday lives. Our programs and experiences instill a sense of stewardship that is critical to citizenship and quality of life. More than 30 programs - all STEM-focused and aligned to Next Generation Science (NGSS) Common Core (CCSS) and Connecticut Science standards - are offered during the school year. They're presented in our classrooms, and in the field explorations at local beaches, riversides and aboard the Aquarium's research vessel. We even have a "Traveling Teacher" initiative that brings the Aquarium into school classrooms! The formal learning doesn't stop when the final school bell rings in June. The Maritime Aquarium's summer camp programs are weeklong (and sometimes longer) adventures into the marine world. 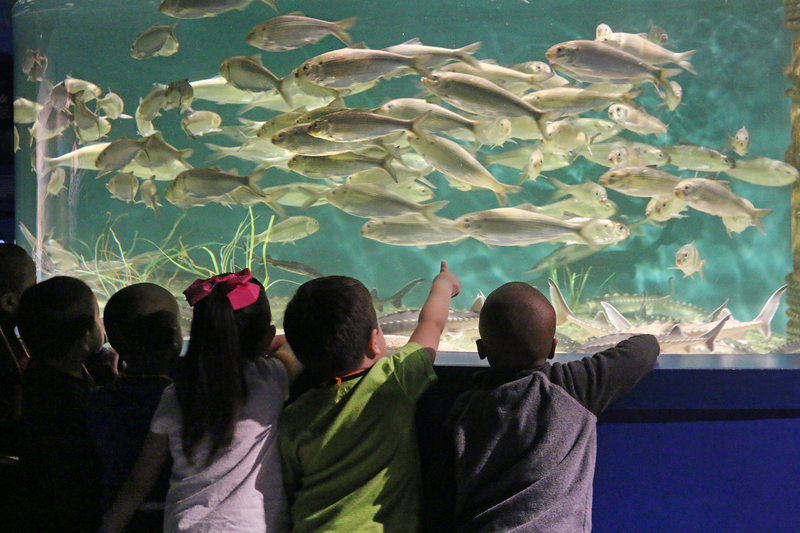 The Maritime Aquarium's educational role extends into the community through our Whole School Partnerships, The Maritime Odyssey Preschool and Professional Development workshops for teachers.